Tonya Hallett is a human capital professional with more than 20 years of broad ranging experience in Human Resources. In 2018, Hallett was appointed as the Executive Director Human Resources, Global Manufacturing for General Motors where she will be responsible for leading the people strategies to support the continuous dynamic evolution of where, how and why we manufacture around the world. Prior this appointment, Hallett served as the Director, Human Resources, for Global Cadillac where she helped lead the organizational transformation efforts to position the brand with dedicated, single-brand focused talent to continue its ascendancy back to the pinnacle of premium in the automotive sector. 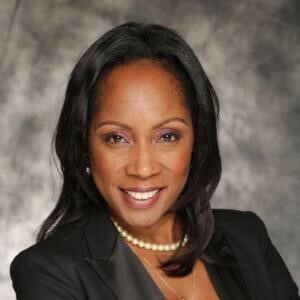 Tonya began her career with General Motors in 1996 and progressed through several different assignments in Labor Relations and field HR leadership positions, including an international assignment in Germany. Prior to Tonya’s current role, she was the Vice President of Human Resources for TouchTunes Interactive Networks, the largest digital out-of-home interactive entertainment, advertising and music-related commerce network in North America. At TouchTunes, Tonya led an international HR team responsible for employees in US, Canada & the UK. She holds a Master of Science in Manufacturing Management from Kettering University and a Bachelor of Science degree in Industrial & Labor Relations from Cornell University. Tonya is a proud active member of several service organizations. She enjoys supporting initiatives for enhancing educational opportunities for at risk youth and breast cancer research. Tonya lives in New Jersey with her husband and three boys. You have joined the ranks of over 1,000 talented women executives who took the important step of asking how they could become even more effective and dynamic leaders. It's a bold step, really. Developing a strong self-awareness takes humility to ask the right questions - and courage to act based on what you learn. We've heard from Executive Leadership graduates like yourself that they would like to continue to invest in themselves, keep learning and stay in contact with other graduates. In response, Inforum has formed an Executive Leadership Alumnae Affinity Group. Attend to connect with Executive Leadership graduates and participate in continued strategic connections and leadership development dialogue.